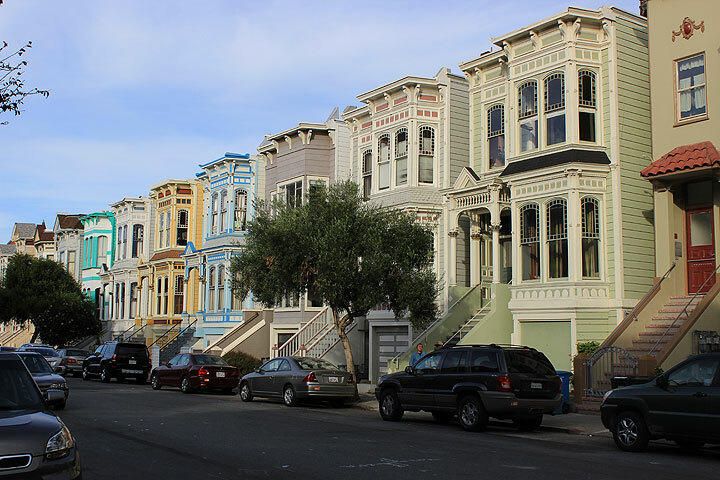 The visual quality for which San Francisco is most famous is provided by the Victorian houses marching cheek-by-jowl up and down the city's hills, delighting the eye with decorative excess and a puckered streetscape of bay windows. The old city of San Francisco is indelibly marked by its legacy of Victorian homes, some 10,000 in number, lying in a grand arc around the city’s burnt-out core of 1906, the date when the earth shook and the Victorian building came to an abrupt end. The self-conscious urbanity of the late nineteenth century is vital to San Francisco’s feeling of being a true city. This effect is achieved at a scale rarely over three stories high, showing that a vigorous urbanism does not require the verticality of Manhattan. San Francisco of the 1850s and 60s was too raw, too unruly and too libertine for the burghers who amassed fortunes from mining and mercantile trade. An outshoot of American capitalism, which turned its gold and silver into specie, California was a place where young men (most of them solidly petit bourgeois) could escape from the strictures of family, propriety and property, and could revel in a rough frontier equality, a pure money economy, and an absent state—for a few short years. Add the sudden political ascendance of the despised Irish through the local Democratic party, and you have the conditions for the reactionary eruption of vigilantism in 1851 and 1855-7 (and episodically later) among the emergent Anglo bourgeoisie. (5) Along with the Second Committee of Vigilance came the Van Ness ordinances (backed up by correlative state law) city control over development and property rights. Land titles, subject to wildly conflicting squatters claims, were regularized and a class of property owners emerged from the chaos of primitive accumulation. The new burghers took the streets in another way, installing spatial order through a fully worked-out street grid and lot subdivision pattern imposed on the expanding city in its Western and Southern Additions (platted in 1861). Consolidation of the city and county of San Francisco tightened the grip over so-called outside lands, where claims were settled by 1866 and a full grid mapped onto the remaining territory by 1879. (6) New development followed quickly at the fringe, a residential suburbia that was not yet suburban. 700 block of Capp Street, east side, where 15 "Stick Style" houses still stand, mostly unaltered, and now extremely desirable. To confuse Bauhaus and international style with the fever of modernity is to conflate architectural style with the substance of bourgeois modernization. Modernism is the exception in American cities, confined to utilitarian commercial landscapes and little adopted for single-family homes. The bourgeoisie have found solace in fussy parlors, bogus historicism and preposterous exteriors—notwithstanding important modern improvements in surface materials, floor plans, utilities, and hygenic kitchens and baths. Residential revery has long rubbed against the grain of utilitarianism in street grids and dollars per front-foot. Postmodernism is just the revenge of suburbia on the downtown. Here and there around the rim of the bay are to be found patches of Victorian buildings in an undulating sea of twentieth-century housing, at old town centers such as San Jose, Oakland or Petaluma. These evoke memory of small towns in the Midwest, San Francisco’s burghers also built a handful of suburban Victorian homes in emulation of Palladian (or Georgian) villas, surrounded by orchards and exotic imports. Most are gone now, and incongruous stands of palm, dracena and monkey-puzzle trees bear mute witness to estates long since demolished for housing tracts. (Hence Gertrude Stein’s lament, ‘There is no there, there,’ on seeing her lost childhood home in Oakland.) Victorian styles went out of fashion by the depression of the 1890s, and were replaced by neo-classical boxes as Oakland and Berkeley became the fastest growing parts of the Bay Area. Rows of boxes fronted all the new trolley car lines in the East Bay, trying to keep intact the stolid form of urbanity established in the Victorian era despite wide lots that allowed for broader, detached homes. But they were overmatched by new forms of suburban housing within a few years. The Victorian city put so determinedly into place by the local bourgeoisie soon revealed its limitations as a solution to social and natural order. First, the working class swelled as the city grew, attracted by jobs in construction, manufacturing and longshoring, bringing hordes of immigrants from Ireland, China, Italy and Germany. The zone south of Market Street filled to bursting with a warren of workers' habitations, spilling over into the Mission and Potrero Hill districts to the south. Labor agitation and politics took the city by storm in the 1870s and again at the turn of the century, with the Union Labor Party taking power for most of the next 20 years. Second, it turned out to be difficult to hold the high ground against creeping industrialization, and the general intrusion of denser housing and commerce into residential areas. Finally, the raging fires of 1906 consumed the stately Victorians as readily as the fires of the 1850s had devoured the untamed woodpile of their day. Transforming whole forests into dense stands of two-by-fours only relocated the natural hazards of conflagration. These contradictions laid the basis for new forms of suburban housing that gained the upper hand in the twentieth century. Well-kept Victorian Mansion at 21st and Guerrero. 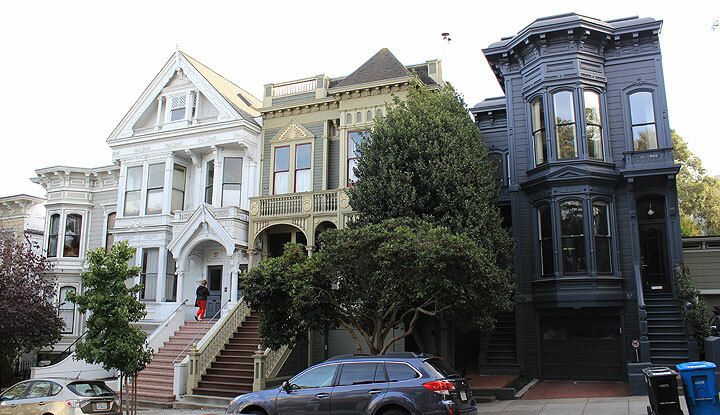 Although past, the Victorian era continued to set the tone for San Francisco's streetscapes. The grid and lot pattern held firm, with larger replacement buildings multiples of 25- and 30-foot lots still fronting the street, until the age of urban renewal (when whole blocks became the units of design). The basic lines of the Victorian facade (high and narrow, window and entry elements, jutting bay windows) remained a mainstay of house design. As neo-classical, Mediterranean, shingle, and Bauhaus styles came along, they adapted to the Victorian habit, even as interiors were updated and ground-level garages became the norm. High modernism had little room to stretch its wings in San Francisco, unlike in Banham's Los Angeles. A row containing Italianate and Queen Anne homes on Liberty Street just west of Valencia. The attraction of Victorian houses is very much wrapped up with their evocation of nineteenth-century urban vitality and exuberance, not simply a nostalgia for the past. Gentrification was closely associated with the yuppie wave of the 1970s and 80s, and its conscientious striving after an urban culture in the European manner. (13) The roaring success of yuppie culture renewed for another generation the long tradition of urbanity among San Francisco’s middle and upper classes. The taste for Victorians was born of a confrontation not so much with modernist aesthetics, as with the distaste for the modern wrecking ball and the levelling of large parts of the city by urban renewal projects and freeways in the 1950s and 60s. A campaign to save the antiquated cable cars began in the 1940s, and the battle against the freeways was joined by the late 1950s. San Francisco became the first American city to stop freeway construction, leaving the notorious Embarcadero Freeway literally hanging in mid-air over the waterfront for 30 years. A further contradiction of the preservation and gentrification movements is that they assisted in the annihilation of working-class urban culture, pricing most workers out of the urban core. Obscure little South Park (near the foot of the Bay Bridge), once a refuge for a small black residential block, is now a popular eating spot for the denizens of Virtual Valley, the new hot spot for multimedia electronics and computer magazine publishers. As always, financiers and land owners grew rich on the unearned increment between the price of working-class neighborhoods and the prices high-income people will pay for their taste of urbanism. The ultimate irony is the reappearance of Victorian-style townhouses in the Western Addition, where exposed gaps of land have stood barren for almost 40 years after the removal of thousands of poor people’s homes by the bulldozers. Victoriana has come back to the suburbs, as well. Today’s postmodern designers play the trick of pirating the city for the images of an urbane suburbia. Half-circle window lights, a suggestion of verticality, and meaningless dormers sprout like mung beans in the tracts of the 1980s. 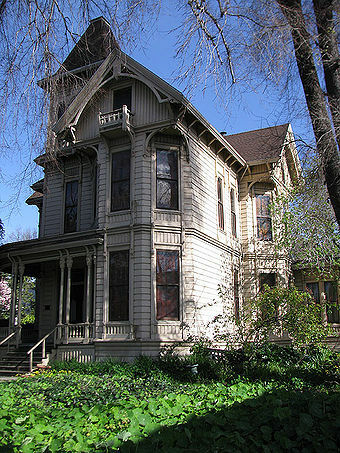 Neo-Victorians give the buyer a taste of old San Francisco in faceless places like Hercules, Milpitas, or Walnut Creek. This is, in part, a degenerate postmodernism—the contented marriage of mass production with prim pilasters and fenestration—and another small indicator of the degeneration of urbanity in America. Yet it is also a sign of urbanity attempting, against all the odds, to be reborn in the 'edge cities' of the late twentieth century, searching for a history that ties its bloodline to the urbanism of the past. 4. Stephenson first saw the city in the late 1870s. The term 'instant city' is due to G. Barth, Instant cities: urbanization and the rise of San Francisco and Denver (New York, Oxford University Press, 1975). The one remnant of the Gold Rush city is the Jackson Square historical district at the north edge of the financial district, once filled with notorious Barbary Coast dives. 5. On the other side, the libertarian freedom of the white man was eagerly asserted against Mexican landowners, Mexican and Chinese miners, and indigenous peoples, without scruple. On this epoch generally, see Barth, Instant cities; R. Paul, California gold: the beginning of mining in the Far west (Cambridge, Harvard University Press, 1947), R. Lotchin, San Francisco, 1846–1856: from hamlet to city (New York, Oxford University Press, 1974); A. Hurtado, Indian survival on the California frontier (New Haven, Yale University Press, 1988). 6. On building in the Victorian era, see the excellent study by A. Moudon, Built for change: neighborhood architecture in San Francisco (Cambridge, MIT Press, 1986). 7. Anne Bloomfield, 'The real estate associates: a land and housing developer of the 1870s in San Francisco,' Journal of the Society of Architectural Historians 37, 1 (1978), pp. 13–33. 8. On early suburban development in Boston, see S. Warner, Streetcar suburbs: the process of growth in Boston, 1870-1900 (Cambridge, Harvard University Press, 1962). On San Francisco's flexible order, see Moudon Built for change: neighborhood architecture in San Francisco. 9. The west in many ways followed eastern fashions, but not to the degree that most commentators believe, e.g., H. Kirker, California's architectural frontier: style and tradition in the 19th century (Santa Barbara, Peregrine Smith, 1973); and for the comparison between early California and present-day Las Vegas, see J. Findlay, People of chance: gambling in American society from Jamestown to Las Vegas (New York, Oxford University Press, 1986). 10. 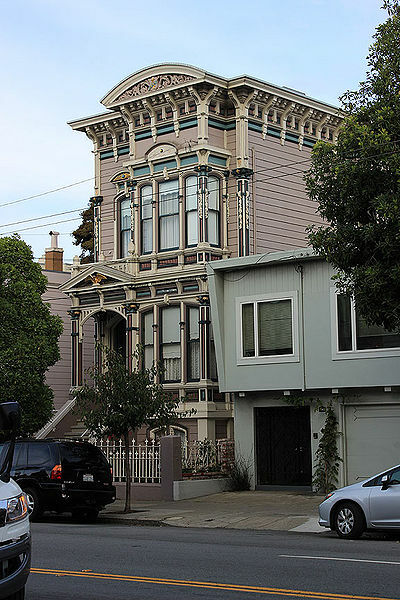 On Victorians in San Francisco, see R. Olmsted and T. Watkins, Here today: San Francisco's architectural heritage (San Francisco, Chronicle Books, 1969); S. Woodbridge, ed., Bay Area houses (New York, Oxford University Press, 1976); and J. Waldhom and S. Woodbridge, Victoria's legacy (San Francisco, 101 Productions, 1978). For a (rare) favorable view of Victorian architecture in general, which emphasizes its variety, see J. Maass, The gingerbread age: a view of Victorian America (New York, Rinehart, 1957). 11. For a rich portrait of late nineteenth-century San Francisco, see W. Issel and R. Cherny, San Francisco, 1865-1932 (Berkeley, University of California Press, 1986); and M. Kazin, Barons of Labor: The San Francisco Building Trades and Union Power in the Progressive Era (Urbana and Chicago, University of Illinois Press, 1987). On industry vs. residences, see discussions of the growth of workshops near Alamo Square in Moudon, Built for Change: Neighborhood Architecture in San Francisco; and the displacement of South Park, San Francisco’s first élite subdivision, in A. Schumate, Rincon Hill and South Park: San Francisco’s Early Fashionable Neighborhood (Sausalito, Wingate Press, 1988). On the city residence and migrations of the rich, see the ridiculous Frances Moffatt, Dancing on the Brink of the World: The Rise and Fall of San Francisco Society (New York, Putnam’s and Sons, 1977). Compare the élite’s hold on Beacon Hill in Boston, discussed in W. Firey, Land Use in Central Boston (Cambridge, Harvard University Press, 1947). 12. 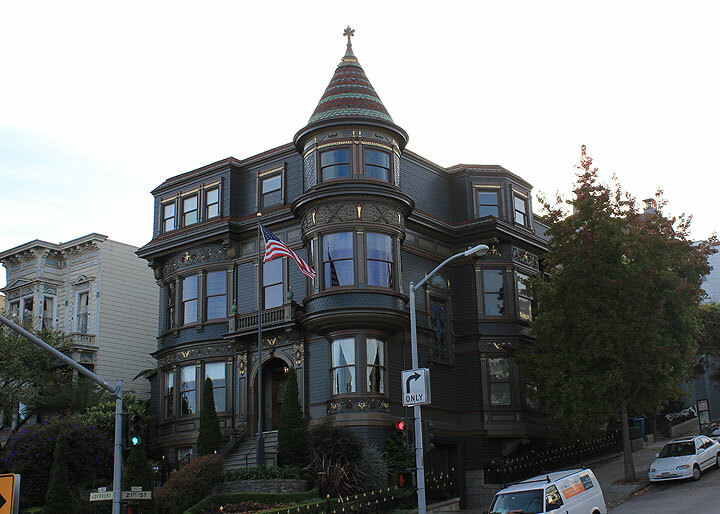 The central San Francisco areas are Noe-Eureka valleys, the Haight-Cole Valley, Alamo Square and Pacific Heights. The nearby working-class areas are the Mission, Bernal Heights, Albany, El Cerrito, and central-east Oakland, with outlyers in Point Richmond, Crockett and South San Francisco. There is no comprehensive study of gentrification in the Bay Area, but see A. Kucherenko, A View of Neighborhood Transition (unpublished MA thesis, Department of City and Regional Planning, University of California, Berkeley, 1978); and B. Godfrey, Neighborhoods in Transition: The Making of San Francisco’s Ethnic and Nonconformist Communities (Berkeley, University of California Press, 1988). 13. R. Walker and the Bay Area Study Group, 'The playground of US capitalism? the political economy of the San Francisco Area in the 1980s,' in M. Davis, S. Hiatt, M. Kennedy, S. Ruddick and M. Sprinker, eds., Fire in the hearth: the radical politics of place in America (London, Verso/Haymarket, 1990), pp. 3-82. 14. The story of San Francisco's architectural heritage movement has not been told. Key texts besides those cited in note 10 are W. Vail, Victorians: an account of domestic architecture in Victorian San Francisco, 1870-1890 (San Francisco, self-published, 1964); J. Waldhorn, Historic preservation in San Francisco's inner mission/take a walk through mission history (Washington, DC, US Government Printing Office for the US Department of Housing and Urban Development, 1973); C. Olwell and J. Waldhorn, A gift to the street (San Francisco, Antelope Island Press, 1976); and M. Corbett, Splendid survivors: San Francisco's downtown architectural heritage (San Francisco, California Living Books, 1979). No doubt San Francisco was imbued with changing national sentiments about urban and historical preservation signalled by the writings of E. Maass, Gingerbread age and The Victorian home in America (New York: Hawthorn Books, 1972); Jane Jacobs, The death and life of great American cities (New York, Random House/Vintage, 1961); Peter Blake, God's own junkyard: the planned deterioration of America’s landscape (New York, Holt, Rinehart and Winston, 1964); and Robert Venturi, Complexity and contradiction in architecture (New York, Museum of Modern Art, 1966); and the National Historic Preservation Act of 1966; but the Bay Area's activists were among the vanguard of the movement.